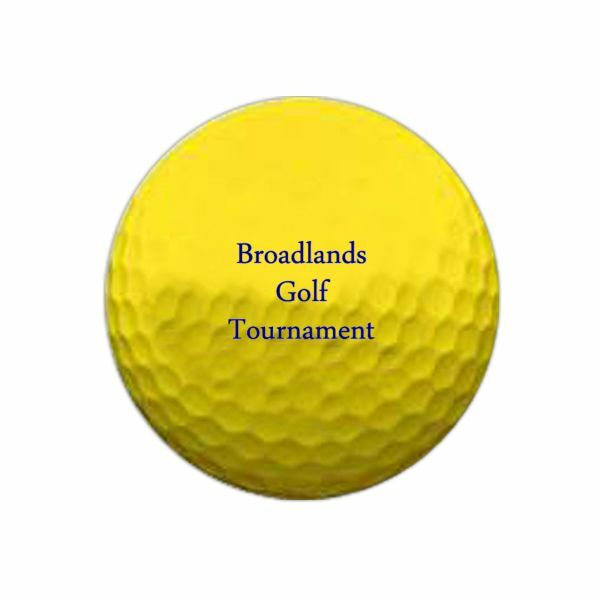 Are you having a tournament or fundraiser and want colored golf balls imprinted with your logo or name? Great for family entertainment centers, miniature golf courses, municipal golf courses. The price includes 1-3 color logo, one imprint location, free plate set up and free PMS color match. Normal production is 7 business days but we sometimes can do 5 day production to meet a deadline. (small rush charge of 5.00 per dozen applies). Available in orange, black, pastel pink. yellow, red, purple, royal blue, bright blue, light blue, optic orange, neon pink, neon green, silver, gold, burgundy, pine green, or brown. These are bulk packed with no factory markings. The minimum is 12 dozen at 19.16 per dozen. Imprint are is 7/8″ diameter.